The Humboldt County Sheriff’s Office is investigating three homicide cases this week after two men were discovered dead at a large marijuana grow operation near Hyampom and an August robbery victim died of his gunshot wounds over the holiday weekend. Deputies were called out to the Hyampom scene by the Trinity County Sheriff’s Office on Sunday, which was determined to be just within the Humboldt County limits. “We’re still investigating the incident and the investigation, at this point, leads us to multiple assailants,” sheriff’s office Public Information Officer Selena Zorrilla-Mendoza said. The sheriff’s office also identified Dana Hudson, 44, as the victim of an armed robbery in Willow Creek in August. He died Monday from “multiple complications from gunshot wounds,” according to a news release. On Sunday, September 4, 2016 at approximately 11:30 a.m. the Humboldt County Sheriff’s Office received a report from the Trinity County Sheriff’s Office (TCSO) regarding a double homicide. Deputies responded to the incident location, a residence on US Forest Service Road 3N14 South Fork Mountain in Hyampom. Deputies met with TCSO Deputies and were told two male adults were deceased in the residence. Deputies located several living structures and large marijuana grow sites throughout the property. HCSO Detectives responded to investigate the homicides. The investigation at this time indicates multiple assailants. Additional suspect information will be released accordingly. The Drug Enforcement Unit obtained a search warrant for the marijuana grows on site. The search warrant was served and revealed another marijuana grow on a neighboring property. A search warrant was obtained for the neighboring property and served on Monday, September 5th. Autopsies will be performed on Tuesday, September 6th. Names of the victims will be released after next of kin has been notified. Anyone with information for the Sheriff’s Office regarding this case is encouraged to call Detective Peterson at 707-268-3663 or the Sheriff’s Office at 707-445-7251. On Monday, September 5, 2016 the victim from the armed robbery shooting passed away. The victim has been identified as 44 year old Dana Hudson. Hudson died from multiple complications from gunshot wounds. This case is now being investigated as a homicide. 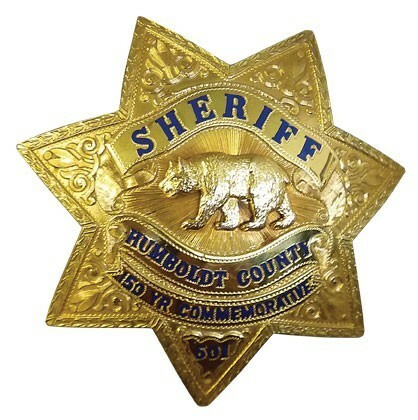 Previous press release: On 08-12-2016 at 11:50 a.m. Humboldt County Sheriff’s Office Deputies responded to a report of an armed robbery that just occurred off Sabretooth Road, Willow Creek. It was reported to the Sheriff’s Office that approximately 2- 3 male suspects took the victim’s yellow pickup truck. While deputies were responding to the scene they received information that a male victim had been shot.